Here’s some homework for this weekend… Log into your credit card accounts and claim whatever rewards you might have accrued. 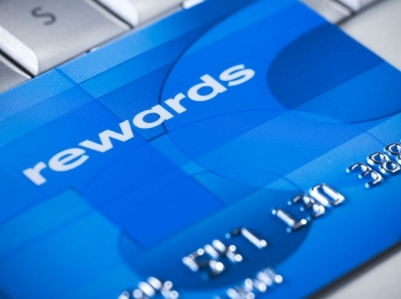 While some reward credit cards automatically credit your cash to your account, others (such as Chase Freedom) don’t. When I logged into our Chase Freedom account the other night, I found that we had a bit over 25k points waiting to be redeemed. I quickly requested a $250 check and went merrily on my way. Granted, $250 isn’t necessarily a life-changing sum, but I’d rather have that money sitting in our savings account vs. sitting around idle. If you’re in a points-based program and you can’t turn your points directly into cash, look for a gift card to a store that you frequent. Just be sure to get at least a penny per point. In some cases, you’ll have to save up for a higher denomination, but it’s usually well worth the wait. And with that… Have a great weekend! This is good stuff. It’s amazing how I keep telling myself I need to spend my points but I never get around to it/I tell myself if I keep waiting, I can get something really good. I can never get myself to pull the trigger. One other thing is whether getting more points makes them convert at a more valuable rate rather than spending them right away. Do you know if this is the case or is it irrelevant as far as “value” when you spend them? I set up an “alert” at chase.com to email me, notifying me whenever I have $25 of rewards to claim. I’m just waiting for rewards programs to be cut b/c of all this banking and credit card legislation. I don’t have a rewards card so I don’t know how easy points are to collect, but $250 is crazy! I agree that it’s not life-changing, but that’s a pretty tidy sum. I was planning on letting my points accrue for 5 years (the points expire after 5 years), but sometimes I think rewards programs may be eventually cut. I have a relatively small point balance now, but am enjoying watching it grow (by spending on stuff I can actually pay in full every month, of course).